Diamond necklace in 14K yellow gold. 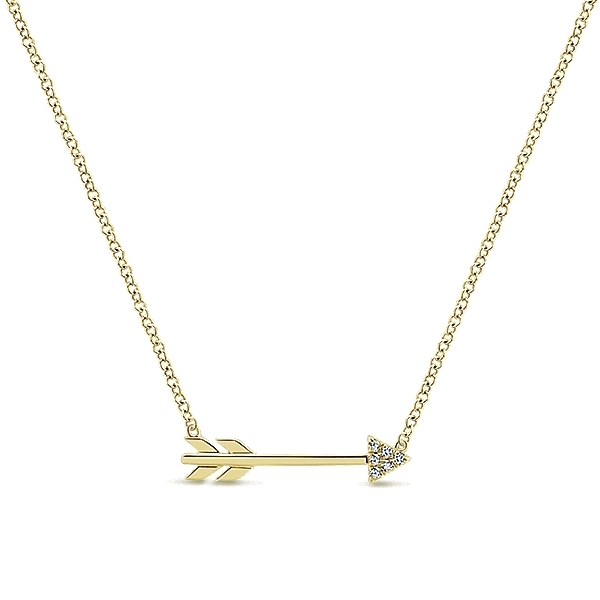 Diamond arrow necklace in 14K yellow gold. 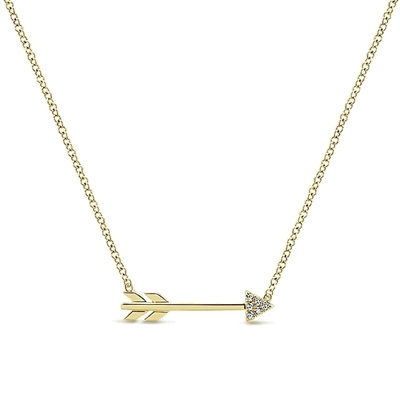 Diamond and 14K yellow gold arrow necklace on 17.5" 14K yellow gold chain. Perfect for layering. Diamond necklace in 14K yellow gold. Diamond necklace in 14K yellow gold. Diamond sideways cross necklace in 14K white gold Sterling silver and 18K gold "Eternal Love" double heart necklace. "Love" necklace in sterling silver with diamond. Diamond necklace in 14K yellow gold. Diamond heart necklace in sterling silver Sterling silver and ruby "Love" necklace.